Parents are more likely to train their children while they were young. This is a good practice so that they will be able to raise responsible individual and aside from that, they can also help with the house chores as well. In doing so, parents should guide the children in every chore given to them because if not, there will be a possibility that things would go wrong as they do it in their own way thinking it is the way best possible way. 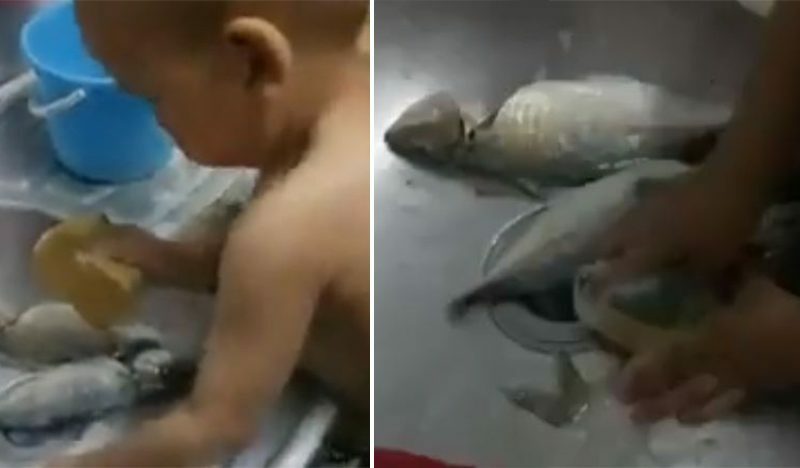 One good example is this little boy's video that gone viral on the internet while he is cleaning the fish. 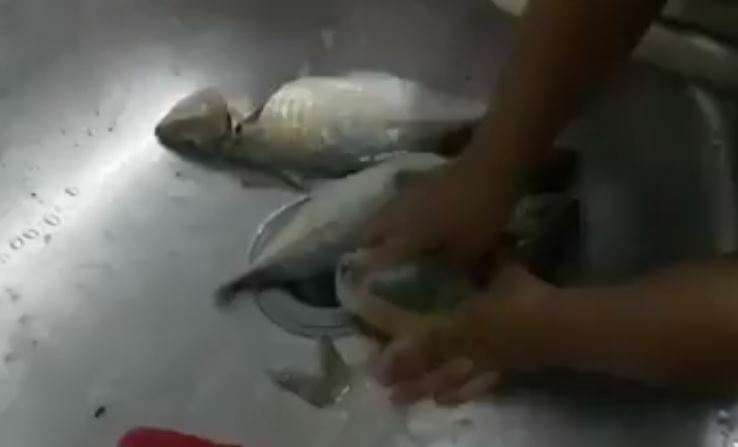 His parent told him to clean the fish before they start cooking. The child agreed and was excited to do the task given to him. 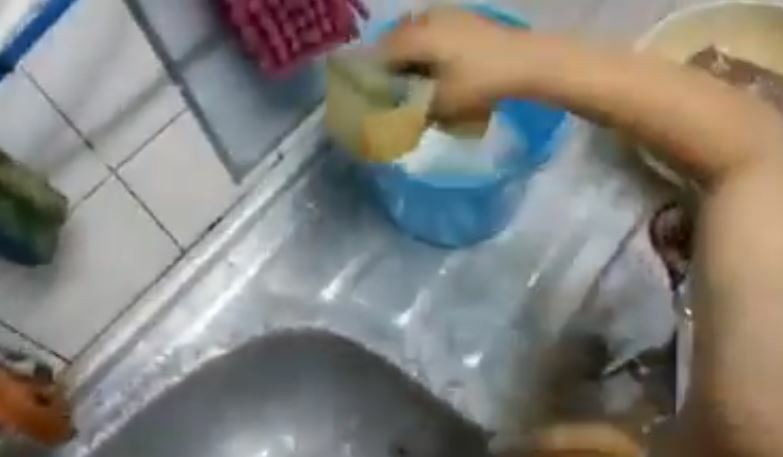 The parent took a video of her child while he started with the task. With the simple instruction of cleaning the fish, the boy started to open the faucet and let it flow on the fish. It was a nice start but wait to see what happens next. He suddenly gets a sponge and pats it in soap then he started scrubbing the fish back and forth. Also, he put some soap inside the fish and cleaned it well. He is so focused on what is doing and did the same to every fish until he finishes the last one. He then opens the faucet again and started washing off the soap from the body of the fish. I hope this fish will not be cooked because it might have an additional taste of soap in it! 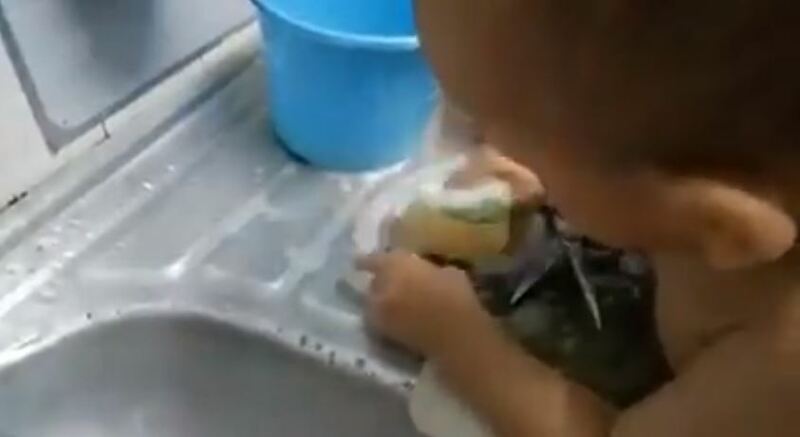 Netizens who have seen the video clip may have switched their reactions from adoring the child's eagerness to do the task into like scolding him after he had put soap on it instead of just cleaning it with plain water. Others have commented that parents should be on hand with training their children's on house chores and not give a general instruction to them like "Clean the fish" because they might have something different in mind than just simply cleaning the fish with water. Could you imagine the taste of the fish after being cooked?